Picturesque Oahu island is the most populated on Hawaii archipelago. 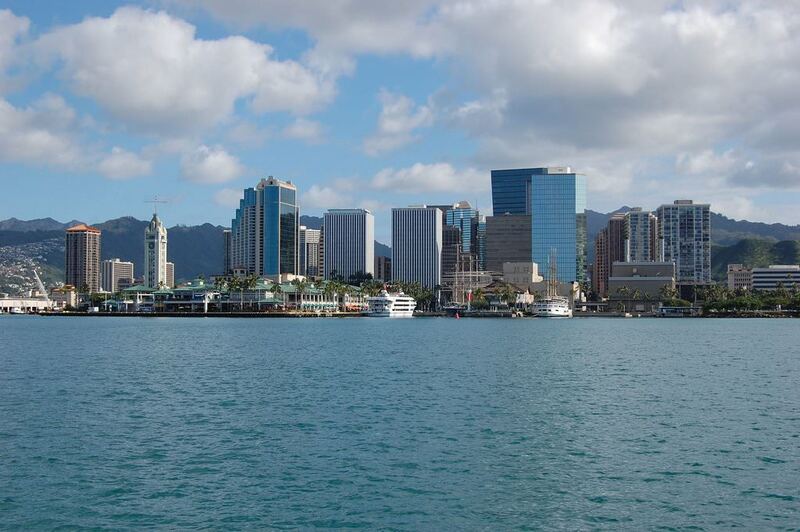 It is also a location of Hawaiian capital, the city of Honolulu. The best known landmarks and cultural centers of archipelago are situated there as well. 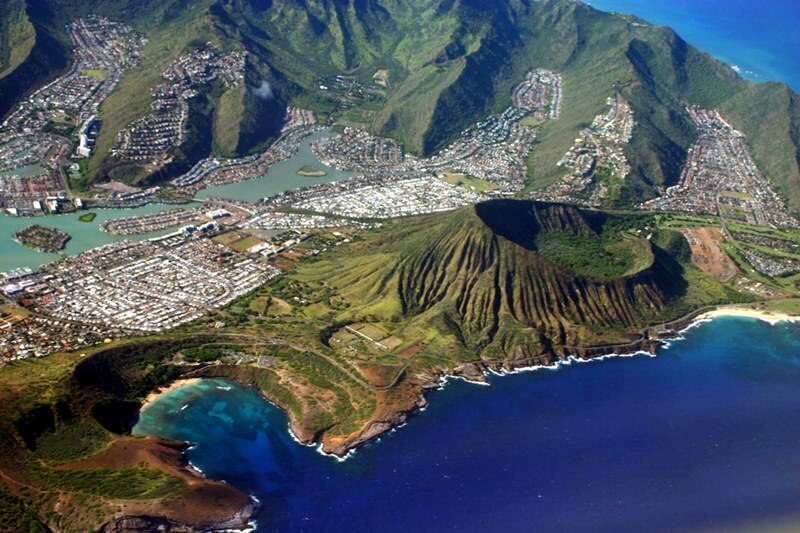 Oahu is an excellent choice for tourists of all preferences thanks to its well-developed tourist infrastructure. Capital city is the starting point of many excursions; the famous Iolani Palace is also situated there. That’s the only royal palace in United States that has survived until nowadays. The palace has been built late in 19th century and was fully renovated just a few years ago. It’s visited by thousands of tourists every year. Next to the beautiful palace there’s the most important religious landmark of the island, Kavaiahao Church . Its construction was finished by 1842. That’s the oldest church on the island; it has survived until this day in excellent condition. The Chinatown of Honolulu is worth an attention too; it’s often considered landmark as a whole. Chinatown is the best walking area of Honolulu with lots of shops and restaurants decorated in traditional style. There's also a number of vivid markets and temples. Capital city has natural landmarks to offer too and Fosters Botanical Garden is one of them. It was founded back in 1850 and named after its founder, the famous German botanist. One of the best known places in the world is situated in the southern part of Oahu. That's famous Pearl Harbor naval base. This unique landmark reminds islanders and tourists about tragic events of 1941. The beautiful memorial was built there in memory of sailors died during the battle with Japan forces. Visitors of the historical complex have a chance to see old naval ships; there's also a collection of historical objects in the gallery. Waterfront area is rich with points of interest; beautiful skyscrapers are among its most important landmarks. This is where the highest buildings on Hawaii are situated; many of them have retained its greatness until these days. After admiring modern architecture, it's highly recommended to visit Hawaiian sea center. It's one of the biggest sea museums in USA boasting lots of unique exhibits. Kapiolani Park next to the museum is widely regarded as the exceptional natural landmark of the country. Fans of hiking and natural landmarks should take a tour to Mount Tantalus . 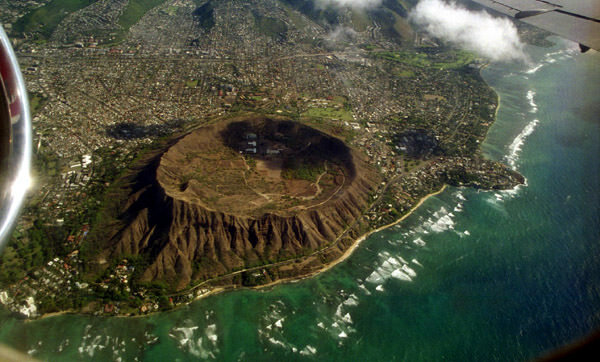 An excellent panoramic view over Honolulu opens from the top of this 600 meters high mountain. Climbing Mount Tantalus doesn't require any specific skills or equipment. Waimea bay is very popular among fans of antique history. That’s because of ruins of ancient Puu o Mahuka Heiau temple found by scientists. There's also a number of archeological points of interests around Honolulu. The island also features spectacular waterfalls; visiting them is a good tradition among tourists. Manoa Falls are widely regarded as the most beautiful on the island. The waterfall impresses visitors with its scale and natural beauty. Oahu Island is the location of one of the most famous beaches in the world, Waikiki. Fans of surfing dream of visiting this beach. In recent years, this fabulous beach has turned into a giant open-air entertainment complex. It is now home to numerous hotels and restaurants, bars and nightclubs, and, of course, prestigious shops. Fans and entertainment never stop on Waikiki. The beach is also famous for its excellent centers specializing in water sports. In total, there are more than 50 beaches on Oahu, including beaches with a well-developed infrastructure and wild ones. Beaches of the windward coast are ideal for such activities as snorkeling. Water is crystal clear there, and the underwater world is incredibly beautiful. Beaches on the northern coast have strong waves virtually every day, so there is no wonder why surfers prefer this part of the island. Having enjoyed magnificent beaches of Oahu, travelers are recommended to devote some time to exploring local natural landmarks. There are several wonderful and large tropical gardens on the island, in which visitors will see rare plants and exotic birds. In order to enjoy the beauty of the underwater world, explore the coastal area in a submarine. This guide to iconic landmarks and sights of Oahu Island is protected by the copyright law. You can re-publish this content with mandatory attribution: direct and active hyperlink to www.orangesmile.com. Check on the map: Distance from Oahu Island center - 37 km. Check on the map: Distance from Oahu Island center - 30.1 km. All about Oahu Island, USA - sightseeings, attractions, touristic spots, architecture, history, culture and cuisine. Prepare your trip together with OrangeSmile.com - find out the 'must see' things in Oahu Island, which places to visit, which excursions to take, where the breathtaking views are waiting for you. Planning your trip with this travel guide will help your to get the most out of Oahu Island in few days.